The Addamo Family, originally from Sicily, Italy, produced wine for their friends and family for many generations. 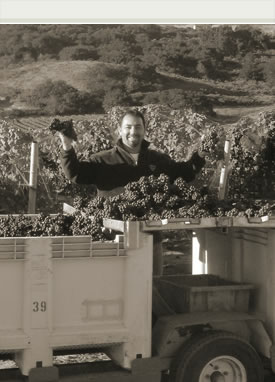 David Addamo was inspired by his parents to farm and produce his own wines, having helped them farm their Cabernet Sauvignon vineyard in Hollister, California when he was a young boy. When David and his wife, Liz, arrived in Santa Maria Valley, they brought with them the dream of having their own estate vineyard and of producing their own wines. 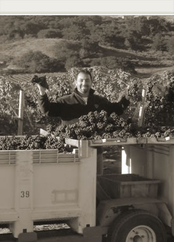 In the year 2000, they planted 120 acres to 6 varietals, including Pinot Noir, Chardonnay, Syrah and Grenache. Today, they have successfully launched their Addamo Estate Vineyards brand and produce several critically acclaimed estate wines.